I’m been wracking my brains thinking of Christmas gifts that might appeal to that hard-to-buy-for person, or the person who has everything, for the fussy person and the ones who just don’t know what they want (let’s face it, we all have at least one of these types on our lists). The last thing you want to get them is something that they will stuff in a drawer, or worse, re-gift to you next year. 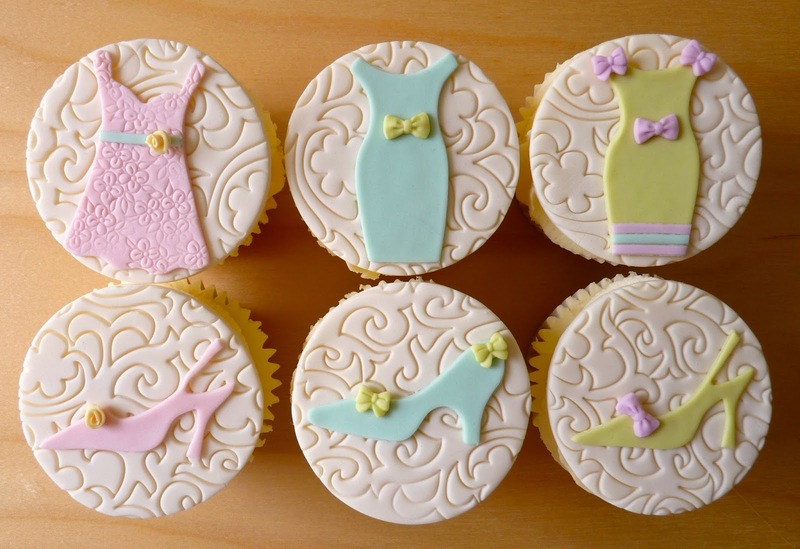 So my suggestion is this – cupcake toppers that you add to your own cakes! Wait, hear me out. 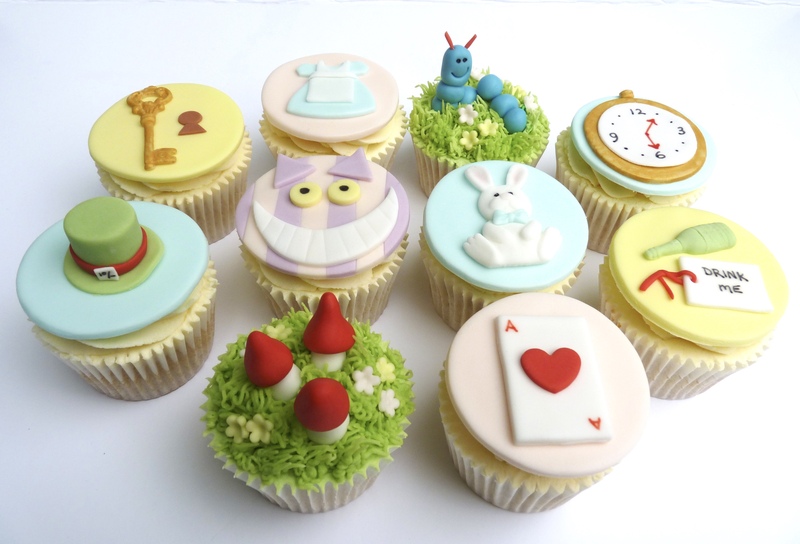 Who could refuse some delicious cakes – perhaps they’re shop bought or you’ve made them yourself with some help from the kids – topped with luscious buttercream and some WOW cupcake toppers. 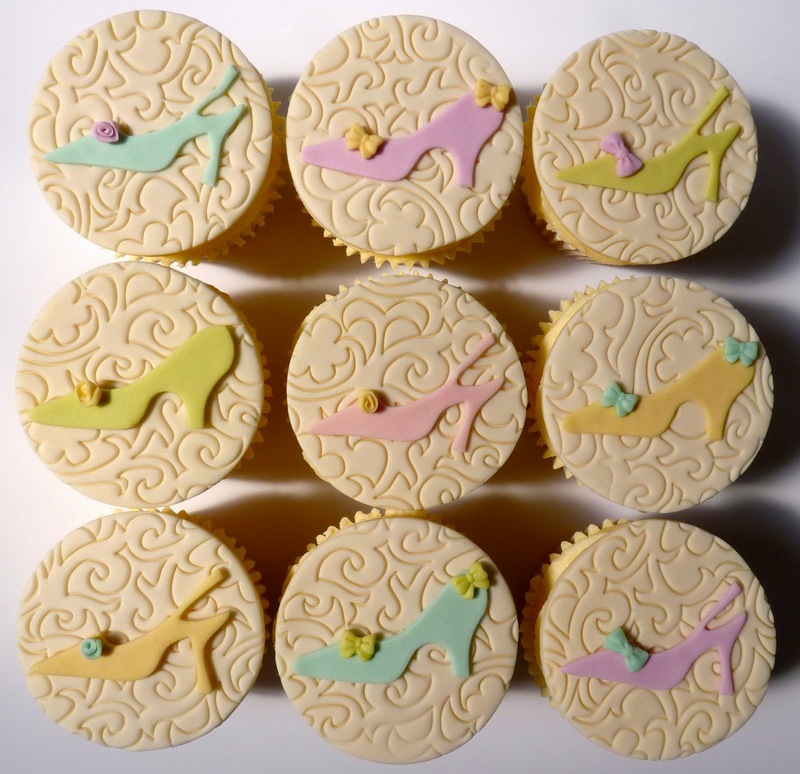 Your cupcakes will be beautiful to look at, yummy to eat AND no need to find space for extra stuff. Plus they will be handmade which will make them just that little bit more special. Here are some lovely designs for you to consider. 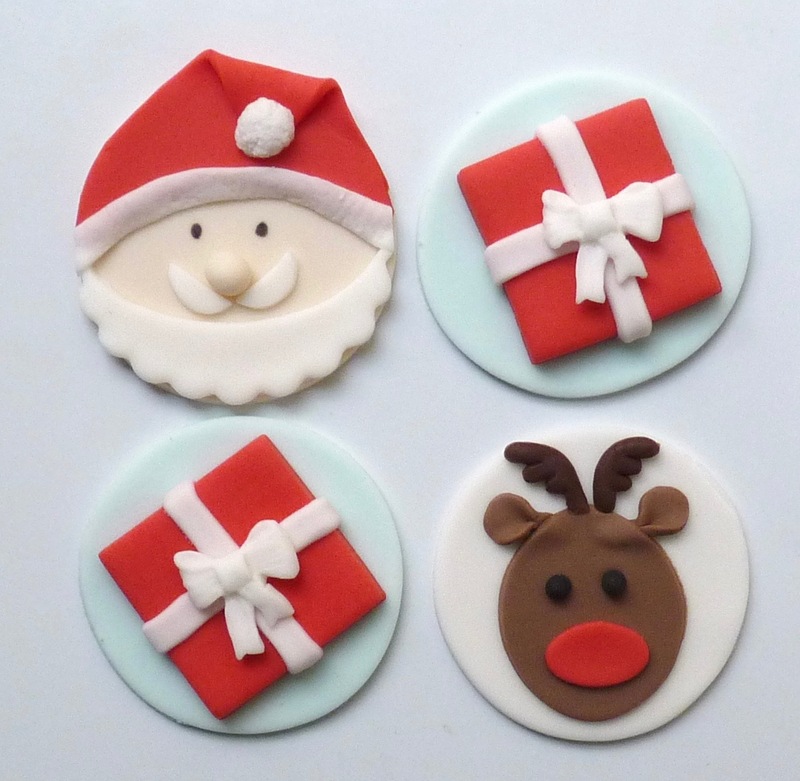 Teachers, dads and granddads would love cupcakes decorated with these cheery Santa and reindeer toppers. 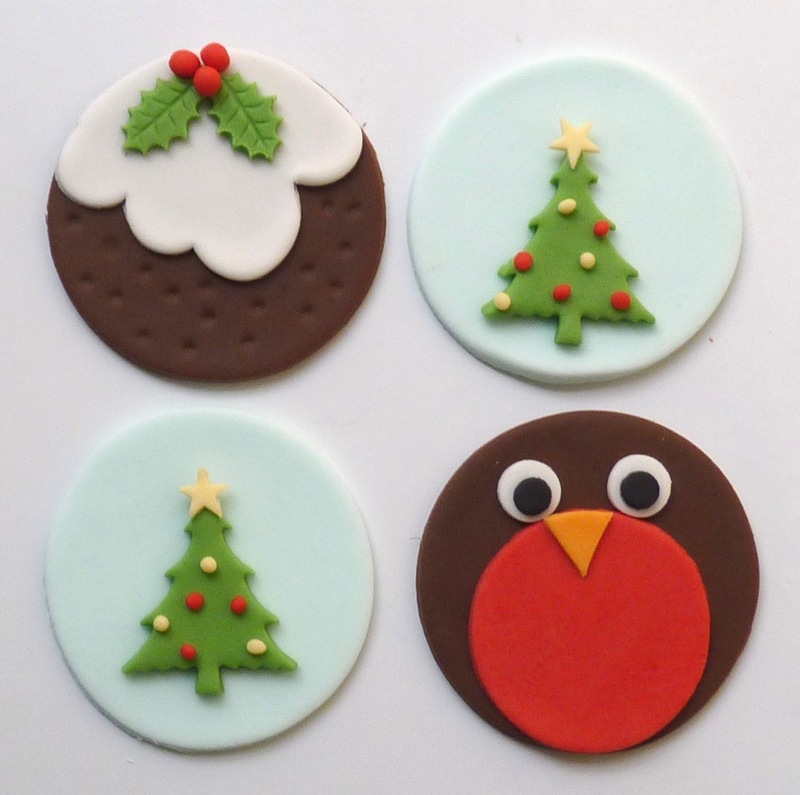 Friends who like all the trimmings would delight in these cute pudding and robin toppers (just so you know, the pudding and robin are made from chocolate flavoured fondant for extra tastiness). 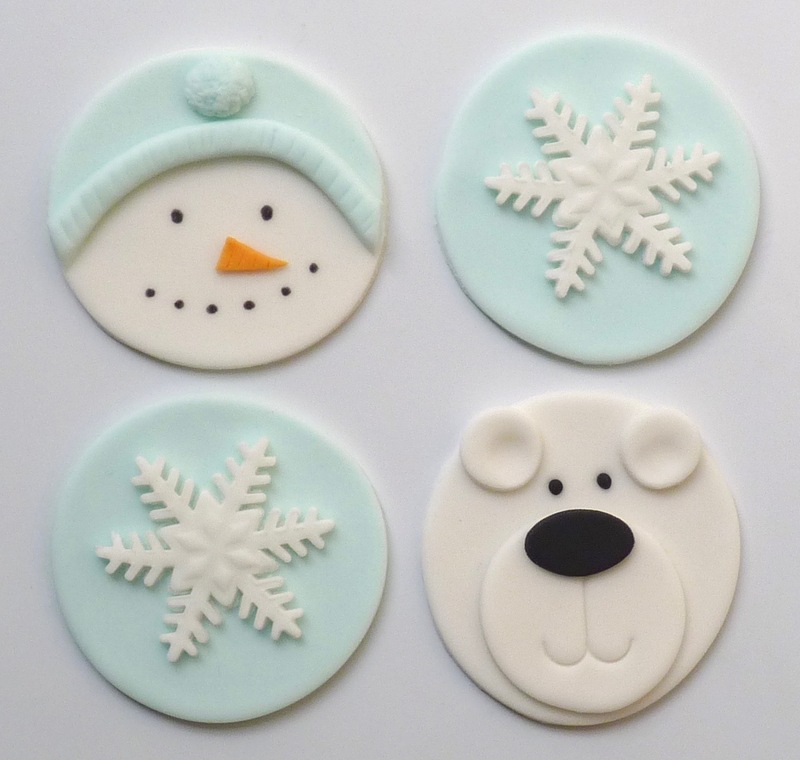 Or what about these adorable snowman and polar bear toppers? They would certainly put a smile on someone’s face. 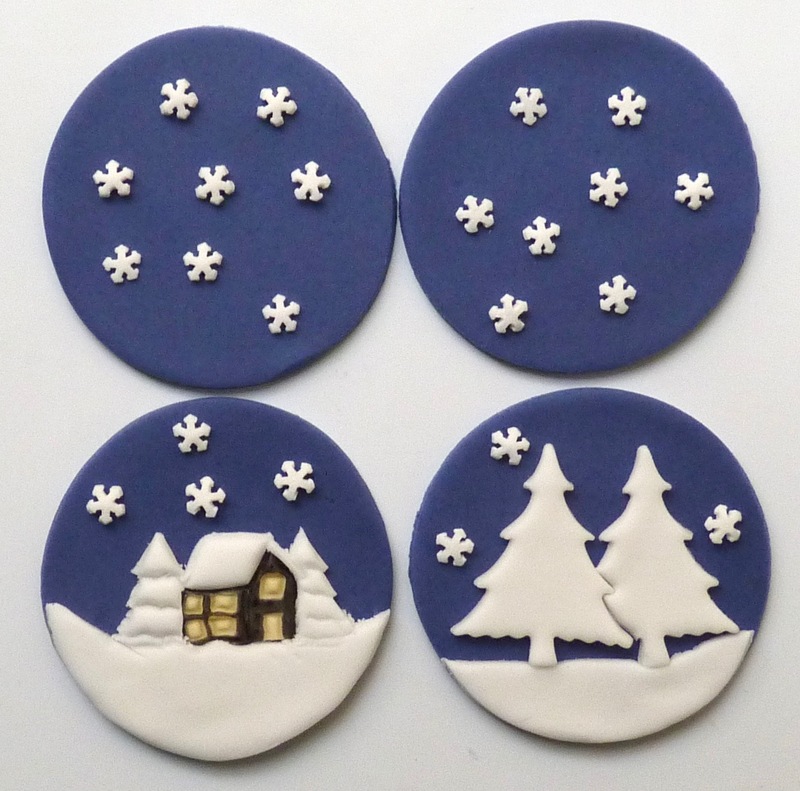 The ones I like best however are these ones, which will look like a little painting when presented in a cupcake box. 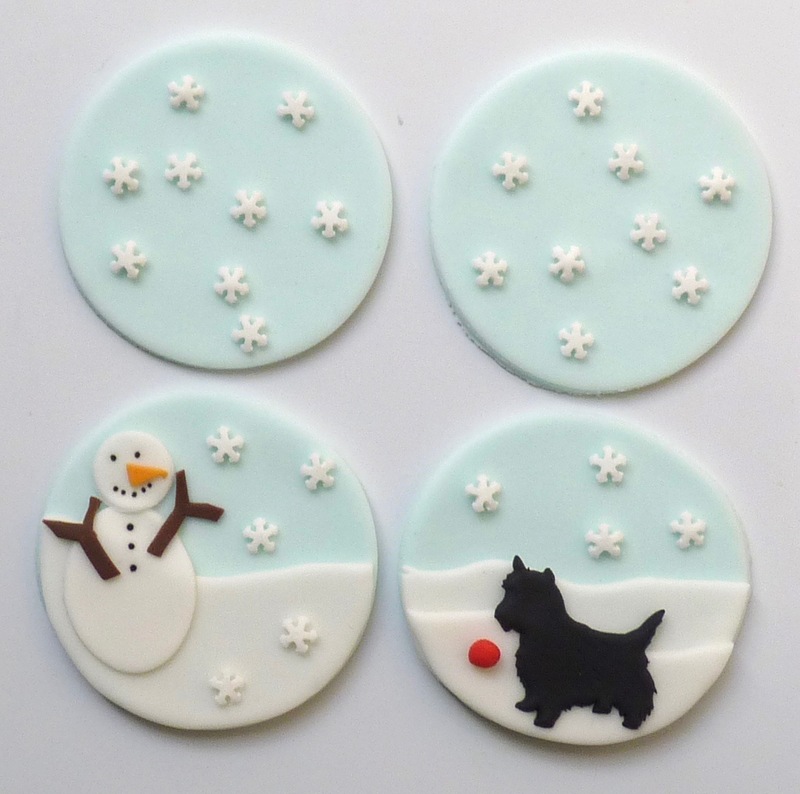 First up, a scottie dog playing in the snow with a snowman. How cute is that? Scottie dog again, this time posting a letter to Santa. I hope Santa gets it in time. And my favourite – bright lights welcoming you home on a dark, snowy evening. All these designs will be available at my table top stall at the Frost Fair in Thame (it’s on 1 December between 8pm and 10pm at the John Hampden School if you are in the area). And if you’d like something custom-made to reflect the interests of a special someone, then do contact me. I look forward to seeing you at the Frost Fair! Back in February I was at Faircake for their Buttercream Flowers Cake class learning how to make piped flower decorations using swiss meringue buttercream. The class, which is jam-packed with content, includes how to make a variety of large flowers, succulents, leaves and smaller filler flowers. Swiss meringue buttercream is light, not too sweet, has a lovely velvety smooth texture and is so irresistibly delicious. Although not difficult to make, this buttercream is tricky to work with as it melts easily and is certainly not recommended for hot summer days. Here are some of the pretty flower designs that can be achieved. 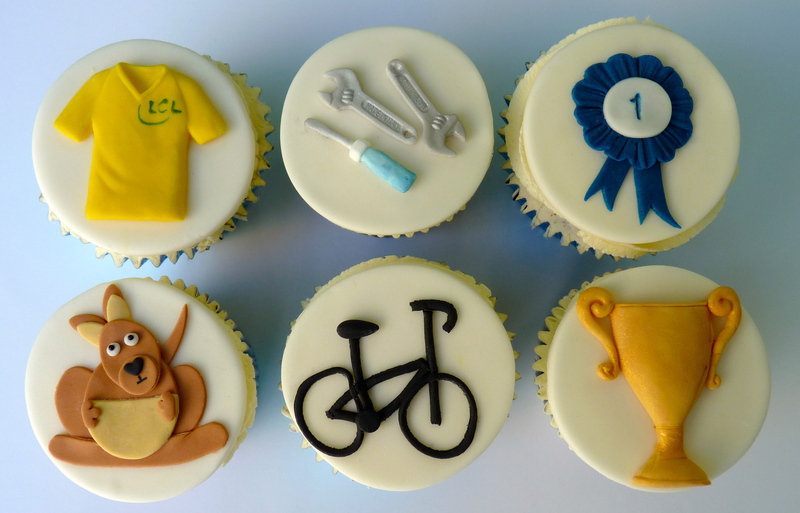 All these were made using a Wilton 104 nozzle, centres were piped using a Wilton No. 2 nozzle and leaves with a Wilton 352 nozzle. Enjoy! And finally spring-time cherry blossom. A feast for the eyes and delicious too. Last week I bought a set of these instant flower nozzles from Iced Jems. A friend mentioned them to me (thanks, Hot Chop Threads!) and as soon as I saw them, they jumped to the top of my ‘must -have-list’. Often the nozzles are mentioned elsewhere as Russian flower nozzles (because they come from Moscow, apparently) and this set from Iced Jems is a selection of the many Russian flower nozzle designs available. These seven nozzles provide a good selection and I am not sure that you would miss the others as they are really a variation on a theme. 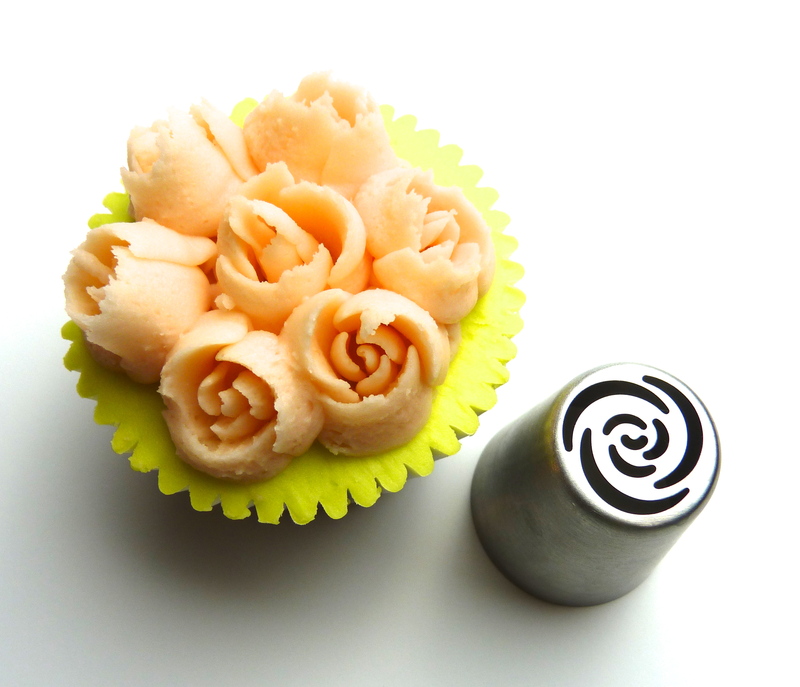 The nozzles promise the ability to quickly pipe intricate buttercream flowers on your cupcakes. Could it really be so easy? Only one way to find out – bake some cakes, make some buttercream (I used American buttercream here) and get piping! My set includes two rose bud nozzles – this one and the other similar nozzle that produces finer petals. The other five nozzles in the set produce variations of tulip flowers like these. Don’t you love those little stamens? 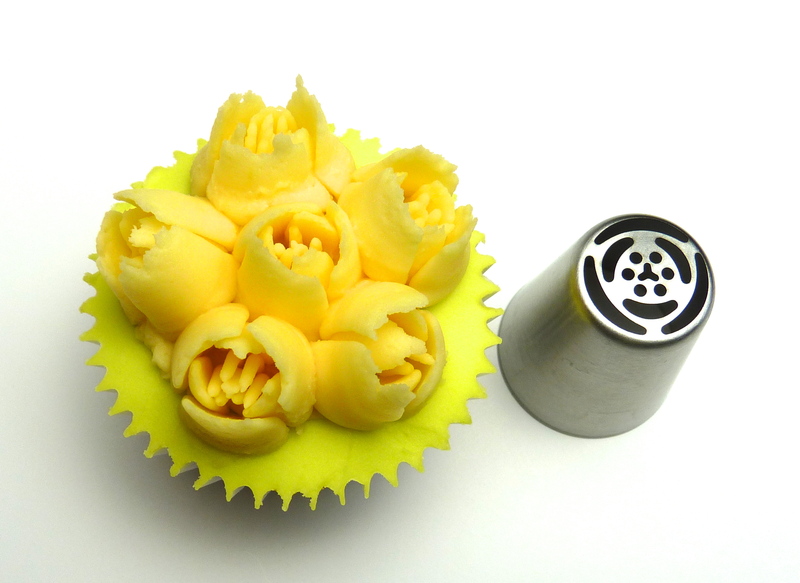 Well, I love the nozzles and they quickly turn any cupcake into a beautiful posy of flowers. 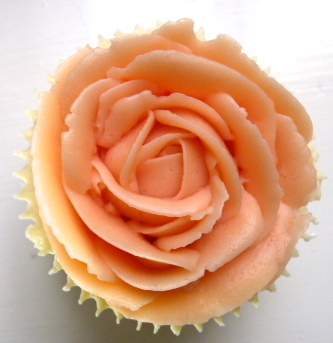 More creative effects are possible by adding piped leaves, using multiple colours of buttercream in the piping bag to give a striped effect, or using the rose bud nozzle as the starter for a larger rose. Something for me to try on another day. I did find the nozzles took a bit of practice to get the flowers to form properly without sections breaking or worse, not adhering to the cupcake at all, or looking more like a blob than a flower. 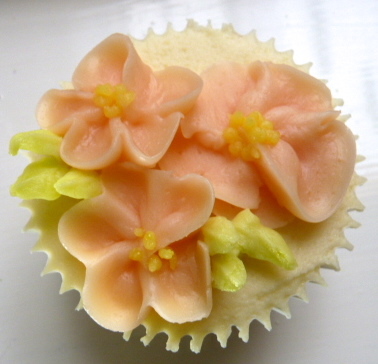 To get the flowers to stick to the cupcake, I found that it helped if I spread a little fresh buttercream on the cupcake just before piping so the flower had something to stick to. And wiping the nozzle tip between each flower helped ensure each flower piped cleanly. The consistency of the buttercream was absolutely critical to success. It has to be fairly stiff to form the intricate flower. 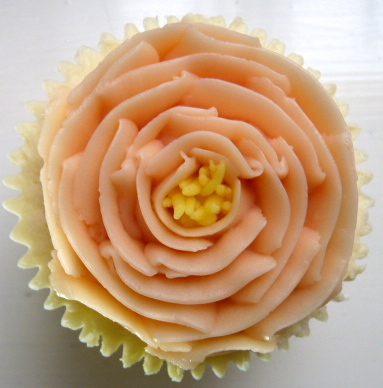 Once the buttercream warmed up from the heat of hands, I found I piped blobs rather than flowers. Easily fixed by popping the piping bag in the fridge for a minute or two to cool down. Timing was important here as you can’t let the buttercream get too hard. Now off to make more buttercream and give those other nozzles a try. During September I enjoyed an extended visit from one of my nieces. She arrived from Australia at the end of August with her primary objective being to “swan around” beautiful places. She had a pretty full itinerary, taking in London, Bath, St Ives, Paris, Florence, Venice and Monaco. All great choices if beautiful places are where you want to be. 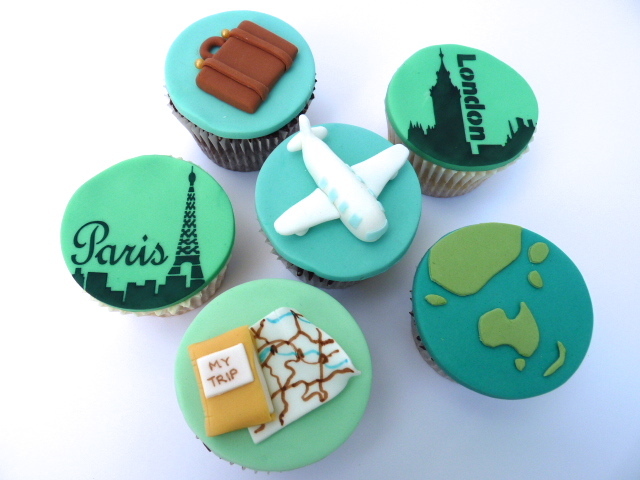 As a welcome gift, I made her these travel-themed cupcakes. Thankfully, she didn’t need the map during her trip (Professor Google was a more accurate alternative – until the internet connection went down – oh, no!). She also had a much more reliable form of transport than a sugar aeroplane (although not necessarily a tastier one). 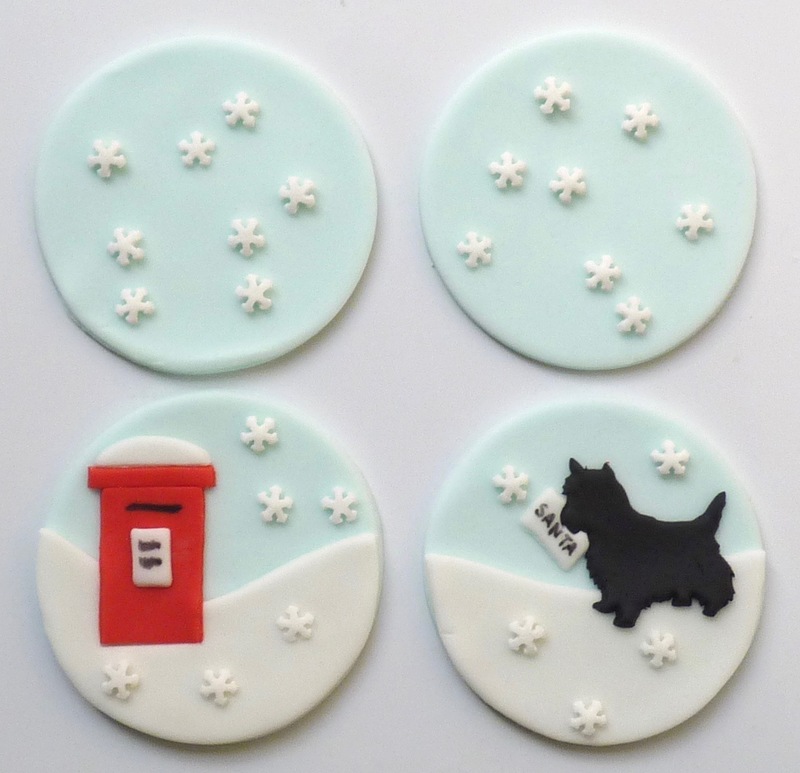 The best thing about edible gifts is that there is no need to find room for them in an already bulging suitcase. Her case may have arrived flat however it certainly went back more rotund, filled with lovely treasures from her overseas trip. Cupcakes aren’t just for girls. Men like cakes too and manly-themed cupcakes are great fun to make. When decorating cakes I love creating designs that will have special meaning for the recipient – either highlighting a hobby or featuring some of their favourite things. These chocolate cupcakes were made as a birthday gift for a man who – can you guess? – loves cycling. He enjoys following the Tour de France (the yellow jersey) whilst the rosette and gold cup highlight his success in competitive cycling. Early in his career he worked as a bike mechanic – as represented by the handy tool kit. The bike might look a bit rubbish however this was deliberate as it is a representation of his first racing bike. When he started competitive cycling, his first bike was a broken down standard bike and not a specialist racing bicycle. He painted it black and called it his “black hack”. Despite its humble heritage it was still a winner as he rode it to many victories before trading up to a proper racing bike. No doubt you are now wondering, ‘Why the kangaroo? How does that relate to cycling?’ It is no mystery really. He is there because the recipient is Australian. Happy birthday, Skippy. Hope you had a great day! (Note: the kangaroo design in based on a card tutorial I found on Pinterest. If you are the designer, please let me know so that I can formally acknowledge your work). Mmmm chocolate. There is something about the smell of chocolate that is just so delicious. Today, whilst it was pouring rain outside, I spent my time in a warm kitchen making chocolate cupcakes. What a life! 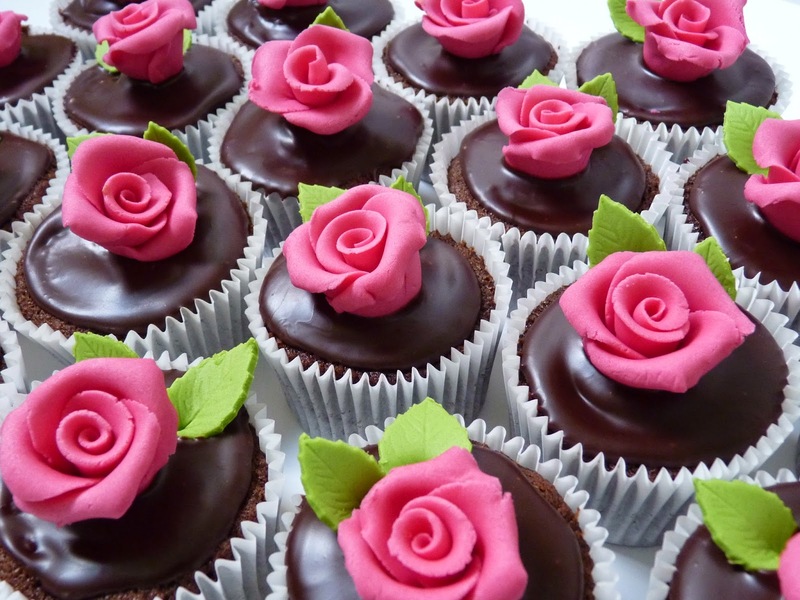 Chocolate and roses just seem to go together so I decorated my cupcakes with glossy chocolate ganache (hint – always make extra to have with toast later – it is delicious!) and hand made fondant roses. Usually I colour my own fondant however this time I used a ready coloured one from Renshaw called fuchsia pink. Don’t you think the strong colour looks great against the dark chocolate? If you haven’t made ganache before you really should give it a try. This is the recipe that I use and this amount should be enough to decorate 12 cupcakes. Break the chocolate into small pieces and put it in a heat proof bowl. Heat the cream in a saucepan until small bubbles appear on the edges but don’t let it boil. Pour the hot cream over the chocolate and let it stand for a couple of minutes. Stir the mixture until it is lovely and glossy. Spread the ganache over your cupcakes using the back of spoon. Any left over ganache can be stored in the fridge for your toast the next day. Enjoy! The sun is shining. Time to bring out some pretty summer dresses and co-ordinating shoes. To me, these look like an LK Bennett shop window. 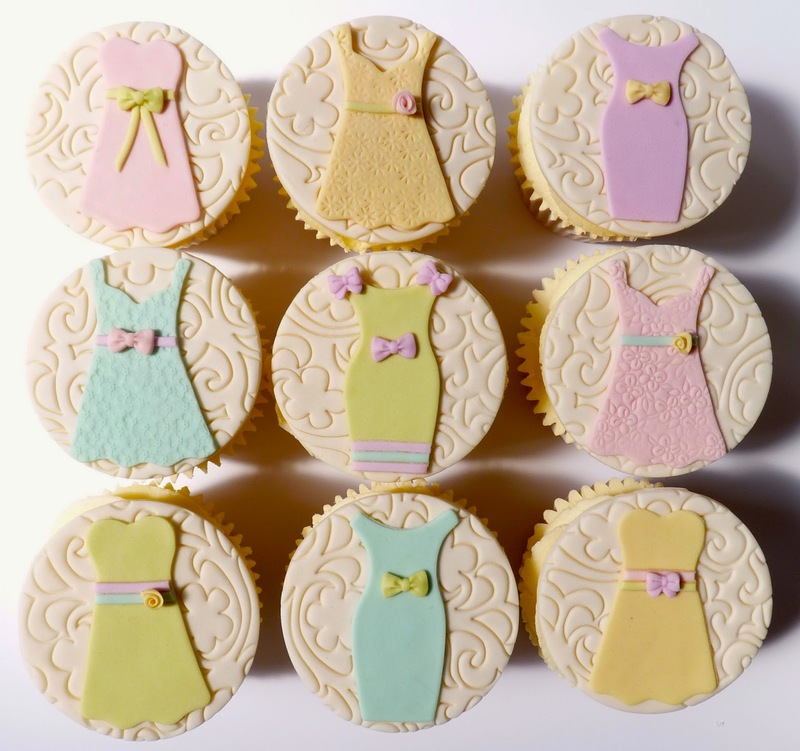 Pretty girly frocks, in beautiful soft pastels, with gorgeous shoes embellished with flowers and bows. And then select some co-ordinating shoes. The ladies at the Sewcial last night were choosing their favourites whilst whipping up their own gorgeous dresses and summery tops (and a few cushions and quilts, for good measure). Well done! Today is an important day for Australians as it marks the centenary of the ANZAC Gallipoli landing during WW1. 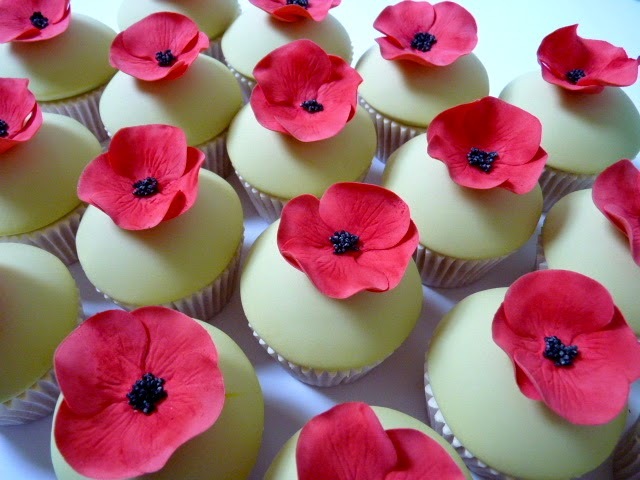 Since 1921, the Flanders poppy has been used as a symbol of remembrance for soldiers who have died in war. Last year I wrote about the 5000 Poppies project, a community art project in Australia that started with a modest ambition for 120 poppies. Since then, the organisers have been inundated with poppies. The poppies I contributed have joined over 250,000 handmade poppies to create a moving tribute of respect and remembrance for all those Australian servicemen and women who have served over the last 100 years. Poppies, whether knitted, sewn, felted or crocheted, were donated from around the world and have been made into a stunning field of handmade poppies now on display at Melbourne’s Federation Square. It is a beautiful and touching display in memory of those who served. Lest we forget. 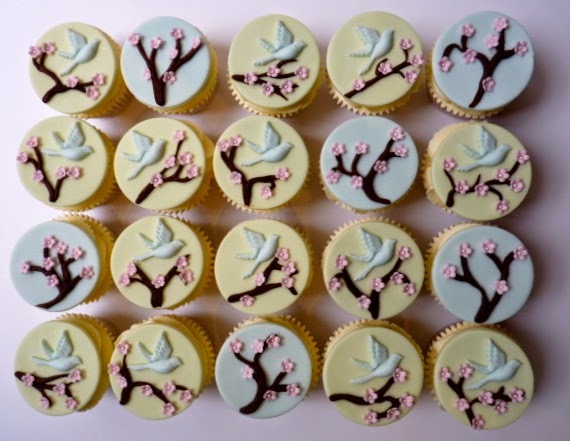 Cherry blossom and bluebirds might not be the first thought that comes to mind for spring-themed cupcakes. Daffodils and tulips are more usual however I thought I would go for something a bit different. The little birds were made from a mould whilst the branches are all unique as they were handcrafted individually. Grouped together like this, it gives the impression of a flock of birds taking flight from a tree. Oh dear. Not really the pretty, romantic image I was hoping for. Not to worry. The ladies at the Sewcial at Fabric HQ last night didn’t mind. They just enjoyed the delicious vanilla cupcake topped with vanilla buttercream. Perfect with a cup of tea after all that sewing.